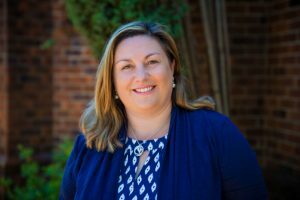 Celia grew up just down the road from St Andrews in Pymble and become a follower of the Lord Jesus during her time in fellowship in her teenage years. Shortly after being married she along with new husband Chris joined the St Andrews Church family in 2002. In the years since they have served in ministries such as Sunday school, playgroup and leading small group Bible studies. In 2017 she joined the ministry team working in the areas of finance, premises and weddings. Celia is also involved in leading the Friday Women’s Small Group and loves to explore the Bible with ladies of all ages. Celia and Chris have 3 boys – Liam, Riley and Callum who are all active members of the children’s programs on Friday afternoons and Sunday mornings. Celia enjoys keeping active by playing social tennis, competing in physical culture and running the boys around to all their activities. Celia also loves spending time with friends chatting over coffee. Please contact Celia if you have any concerns or questions in regards to Accounts, Building issues or in regards to your upcoming wedding and she would be happy to assist you.